Abigail by Jess Heileman “A beautiful coming-of-age story with just enough romantic tension to keep you reading late into the night.” Since the death of her mother, Abigail Blakeslee has lost all desire to become a debutante and enter Society. But now, foregoing her first Season has brought an unwanted invitation to join her aunt and cousins for a summer at Timpton House, the large estate of the Stanton family. Reluctantly accepting, Abigail is thrust into the vexing world of social propriety and matchmaking she had hoped to avoid. More vexing still is her cousin’s suitor, the young Timpton heir—Edwin Stanton. Moody and distant at times, remarkably endearing at others, Edwin seems a puzzle she can never solve, but can never quite put away. Bet then, Abigail has her own secret to hide—her own mystery to conceal. Perhaps such puzzles are better left unsolved, or perhaps love can find a solution. Excerpt: The library was filled with books, and it reminded me of the one at Easton Manor with overstuffed shelves, large windows, and numerous seats for reading. I grabbed a thin book off a nearby shelf and held it in my hand. I traced my finger over the title, The Tempest. It had been sometime since I’d picked up a book. Mother taught me to read and had given me the joy of new worlds and unforgettable stories. I’d spent countless afternoons tucked in a chair in our library, unable to stop reading; but when Mother died, I found little delight in anything, including the things she’d taught me to love. “Have you read it?” Edwin asked peering over my shoulder. “Of course!” I answered placing it back on the shelf. “And I presume you enjoyed it?” “Very much. I admit I am easily satisfied by a happy ending.” I kept my eyes searching the books, having little desire to receive the look of censure awaiting me. “The Shakespeare writings I enjoy most are those that end well—Twelfth Night, Midsummer Night’s Dream, The Taming of the Shrew—the ones where love is victorious.” “A common ideal among ladies, I believe, and the reason his comedies are so popular.” I turned towards him, “Life has enough of tragedy and grief, is there something wrong with finding satisfaction in love and happy endings?” “There is,” he said. “The harm is believing in something that isn’t real, Miss Blakeslee.” He stepped closer, and my feet faltered. “Love only brings misery. To think otherwise is foolish. You just declared life is full of tragedy—” “And that is why love is needed!” “And that is what love causes!” Neither of us moved and I could feel his warm breath on me. It was only then I realized how close we stood, my neck craning to look up at him, but I had no desire to move away. “You do not understand love then,” I whispered. The resentment in his gaze caught me by surprise. “And you do?” “Yes! Love has saved me.” His eyes searched mine, “The love I know has the power to lift and to heal, to see past weakness and turn it to strength.” “Love is fickle and will fail you.” “Never.” I said shaking my head as tears stung my vision. “I do not know what counterfeit you describe but the love I have found is faithful and unconditional.” He said nothing and after a moment his eyes drifted from mine in contemplation. After taking a deep breath he looked down at me again. He wore the stern expression I knew so well and took a step backward. “I hope you are correct in your judgment,” he said with a brisk nod. “Thank you for telling me.” As he turned from me I wanted to call out to him, but I was too confused to contrive a response. I followed him to the study in a daze. Edwin positioned himself near the desk with his eyes cast to the floor as Diana glanced between us bewildered. “How is it you’ve found something to quarrel about already? You were in there less than five minutes! Perhaps I should take on the role of mediator instead of chaperon for the two of you.” Neither Edwin nor I smiled. “This will not do! What was the disagreement this time?” “There was not a disagreement,” Edwin said. “Well, at least that is not what caused the discontent.” Curious what the cause had been I glanced in his direction, anxious for him to finish. A knock interrupted his revelation. Diana shot to her feet and reached out her arm towards me, “We will go out the library.” Edwin blocked our retreat, “You are fine to leave out the study door.” He shifted his gaze at the repeated knock, “Come in!” The butler opened the door, his eyes gliding over Diana and me, “The Slytons are here to see you, Mr. Stanton.” “Show them in.” The Slytons? I was familiar with the name, but surely they were not the same as I had known. My heart picked up pace regardless of what I told myself. The door opened again and a tall, wiry lady and a shorter, burly man stepped through the door. They were older and somehow uglier, but it was them. My knees nearly gave out, and I tightened my hold on Diana’s arm for support. “Mr. and Mrs. Slyton, I am pleased you finally agreed to make the trip to Timpton. This is my sister, Mrs. Ellis, and our friend, Miss Abigail Blakeslee.” Mrs. Slyton nodded in our direction but abruptly turned her attention back to Edwin. “With such a gracious offer, how could we resist?” Her scratchy voice brought a slew of memories that made my body tremble. I cautiously turned to find Mr. Slyton inspecting me through squinted eyes. Did he recognize me? I hadn’t seen him since I was a little girl, and I hoped the years had done their job adequately enough to disguise me. I lifted my chin, attempting to appear unaffected by his presence and was relieved when Mr. Slyton turned towards Diana, appraising her with the same disgusting grimace he’d given me. I looked to Edwin and found him returning my gaze, a peculiar expression on his features. Edwin moved to my side and placed a firm hand around my waist, guiding me to the door. My ears were ringing, and I was confident he said something to me, but I couldn’t be sure. As we walked from the study, his touch retracted, and Diana took his place directing me back down the corridor. I was uncertain where I was being led and soon found myself seated in a distantly familiar room. “Bring refreshment at once!” Diana’s voice echoed through my mind. My head was spinning, and I rested it against the chair as my vision faded into blackness. Praise for Abigail: This outstanding novel was intelligent, fun, and romantic. I read it twice and had as much fun reading it the second time as I did the first time, if not more. The author is not only creative in developing a believable story line, but the character development kept me engaged and entertained. This was probably one of my favorite romance novels of all time; it lacked nothing. The romantic tensions kept me wondering how conflicts would resolve—creative and unpredictable twists abound. It plays out like a great movie in my mind. More from this author would be a super gift to us all; keep it coming!! – Emily, ID I loved reading Abigail! The writing was witty and descriptive, providing a beautiful, vivid, and deep world to visit in my mind as I read. The characters were real and relatable, causing me to suffer or swoon as occasion permitted. A perfectly clean, charming yet profound, wonderful novel! – Kim, AZ Abigail is one of those stories that sweeps you into another world and won’t let you put it down. It’s a beautiful unlikely love story that you’ve never heard before. The storyline is enchanting, and you will easily see part of yourself in Abigail’s character as she explores the world beyond the walls of her precious Easton Manor. – Wendy, NV Most definitely a book that keeps you reading, even past your bedtime. Helps you forget about all your responsibilities in life until the last word, on the last page. – Larissa, UT This book took me by surprise. It hooked me at the prologue. Abigail had me laughing out loud, tearing up and blushing. It was my “show” that I couldn’t wait to get back to. It was a clever, easy read that had me guessing: what could possibly happen next? A perfect escape! Time for a sequel! – Julie, CA I enjoyed Abigail so much. The characters were developed in such a way that you felt like you were there with them, like you knew them. Surprising plot twists, charming characters and a well thought out storyline made this book one that I didn’t want to put down. I highly recommend Abigail! – Jamie, AZ I loved Abigail! I couldn’t put it down and read into the night. Great plot and character development. I hope there’s more books to come! – Carrie, AZ I really enjoyed this book. I loved the characters and the relationships built throughout the book. It was full of surprises that will make you laugh and cry all at once. I never saw the end coming. It is a book that I will read over and over again. – Monika, IA Abigail is an enchanting look into a historical time period full of tradition and social propriety. As Abigail struggles to fit into that society, she stands out for her willingness to be herself. I was quickly drawn into the story and a desire to follow Abigail through her adventure built quickly. The story does not disappoint. The visual images of places and events created in my mind were amazing. It was so engaging I couldn’t stop reading. – Kim, ID Author Jess Heileman In kindergarten, Jess won a first prize ribbon for her original creation Pigs in Wigs. It was a solid storyline: there was this pig that wore a wig–and it rhymed. Not impressed? Neither were her children when shown the very masterpiece that influenced her to become an author. “You won a ribbon for that?” Yes. Yes, she did. Thankfully, life has since exposed her to a thorough education with its share of awards and accolades–and, more importantly, to the trials and human experiences that form the heart of a storyteller and the substance of great stories. Besides her love of writing, Jess is an avid reader, shameless people observer, international café loiterer, and partially retired photographer. She loves being a mother to five amazing humans and a wife to the greatest man she knows. Just a bit of housekeeping before I get started today. This will be my last post before Christmas. I’ll be back next Wednesday with more book reviews. I hope you all have a very Merry Christmas with your family. 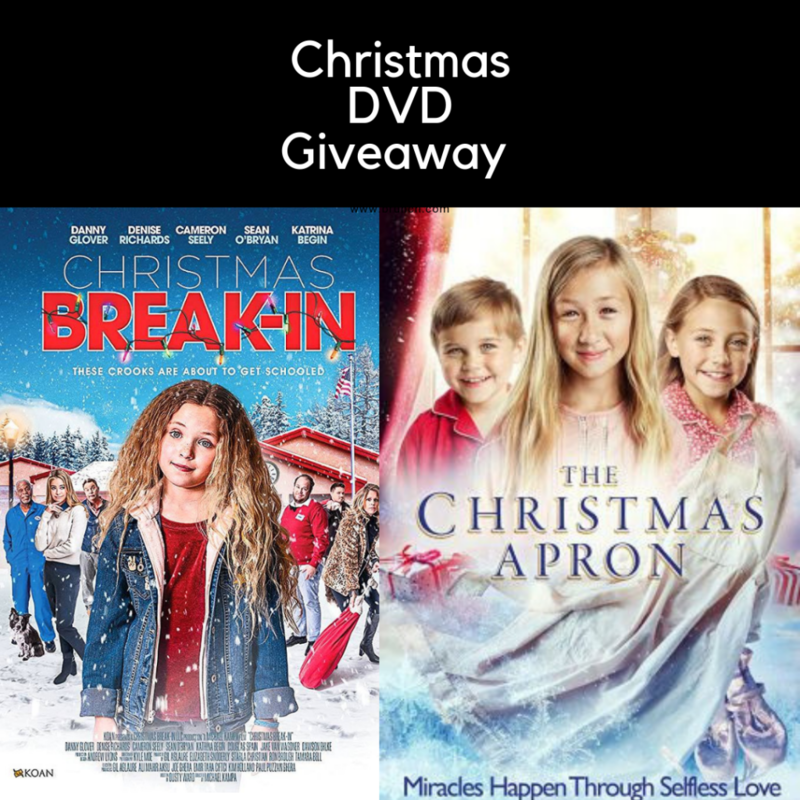 I’m really excited to be part of a Christmas DVD blog tour and giveaway today! I enjoyed watching both of these movies. I can’t wait to tell you about them! This movie reminded me of one I used to watch when I was a kid. It’s kind of like Home Alone in the way that Izzy ends up in the school by herself. And right in the path of the bad guys too! I loved the way she was inventive and resourceful. She was my very favorite character in this movie. Izzy is sassy and determined. She really was great! I need to say that I was a bit annoyed by how ditsy both of Izzy’s parents were. Really?! There were parts that they both were just so stupid. It almost detracted from the plot a bit. Izzy’s friend, Ray, the janitor was great. I loved the way he goes out of his way to help Izzy with everything. He even misses a concert and puts himself in harm’s way for her. The criminals in this one were just kind of funny! They stole from somewhere that I would never have imagined. And their get away vehicle made me laugh. I did like that there was a thread of change and redemption in this one. The bad guy doesn’t always have to be bad. 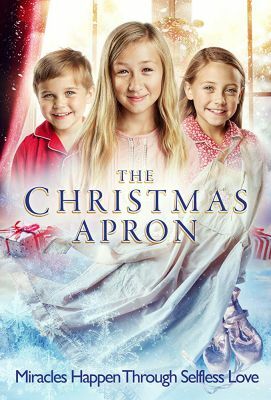 All in all this one’s a cute one that you will love to watch year after year as part of your Christmas celebration. Christmas Break-In 60 second Trailer, Koan from Ron Brough on Vimeo. This little movie was just cute! I loved the characters in it. The way they are willing to give up their own heart’s desire for each other was just sweet. It brought tears to my eyes. This one’s only about a half hour long, but there’s a lot going on in the plot. It kept me interested. I loved it! I can’t wait to get to watch this one over and over! Who can’t use an extra $100? Check out this great giveaway sponsored by some of my favorite authors! 1. Lance in the story is a combination of two rescues we’ve been lucky to have as part of our family over the years: Sampson and Lance. Sampson was our first rescue, and I adopted him from a kill-shelter while my husband was deployed to Iraq about 15 years ago. Lance was a wonderful older dog who spent about five years with us. Lance crossed the Rainbow Bridge earlier this year. 2. This story didn’t start out intending to be a children’s book. I began writing this as a short story that I thought I’d give to readers to encourage them to sign up for my author newsletter. As I wrote it out, it would only come out in rhyme—it just didn’t seem to work any other way. Then once I was done, I had a huge desire to add illustrations. The whole thing just snowballed after that! 3. The illustration of Santa going to pick up Lance and finding the shelter closed initially didn’t have the cardinal or the cat. I thought it needed “a little something,” so Ed Koehler (the most awesome illustrator in the world) added the cardinal. But it still seemed to need something! I asked Ed if he would add an animal peeking through the window. He wasn’t convinced it was necessary but added a cat. We both loved it, so that cat got to stay! 4. For the illustration of when Lance packs his things and waits for Santa, I had this vision with his dish on his head. I’m pretty sure Ed thought I was nuts when I first described it. But then he added the photo of the kids, and it was absolutely perfect! 5. SANTA’S DOG would not exist in its final form as a beautiful hardcover with dust jacket if I had not purchased Bobbie Hinman’s book, “How to Create a Successful Children’s Picture Book.” Bobbie is a successful author and editor. Her book is the bible for writing and publishing a children’s book. Seriously.